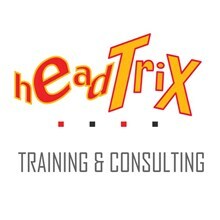 headTrix is a computer training & consulting company. We offer hands-on, instructor-led computer based training classes & consulting in Web Design & Development, Desktop Publishing, Interactive New Media, eLearning, Video Editing, Video Effects, Photo Editing & Effects, Motion Graphics, Animation, Graphic design, Social Media, Search Engine Optimization & more! Adobe Certified Training Classes in small class settings. Certified, Experienced instructors offering individualized attention to every student in the class. We have offered hands-on software training classes and consulting on Adobe and Macromedia Products since 1998.
headTrix offers Training in Most Adobe Applications and classes in Social Media Marketing, SEO, Web Design. & Development, eLearning, and New Media. We create animated HTML5 banners, flash presentations, interactive multimedia, games, interactive eLearning, and original graphics.